If the idea of scenic drives in lush green forests sandwiched between mountains and the Indian Ocean appeal to you, then the beautiful Garden Route of South Africa is definitely one to add to your travel bucket list. Guest contributor, René De Klerk, a South African travel and conservation journalist, takes us on a wonderful tour of one of South Africa’s largest continuous indigenous forests, which is an amazing playground for outdoor and adventure lovers. The Garden Route is great to visit year-round. In Summer, laze on the beautiful beaches or cool down in sparkling pools after hiking. But even winter offers boomer travelers a tranquil hideaway due to the Mediterranean climate. The nearest town with an airport is situated at George from where you can also rent a vehicle. Today, much of the Garden Route is protected as part of the Garden Route National Park as historic events saw the decimation of the fauna and flora. 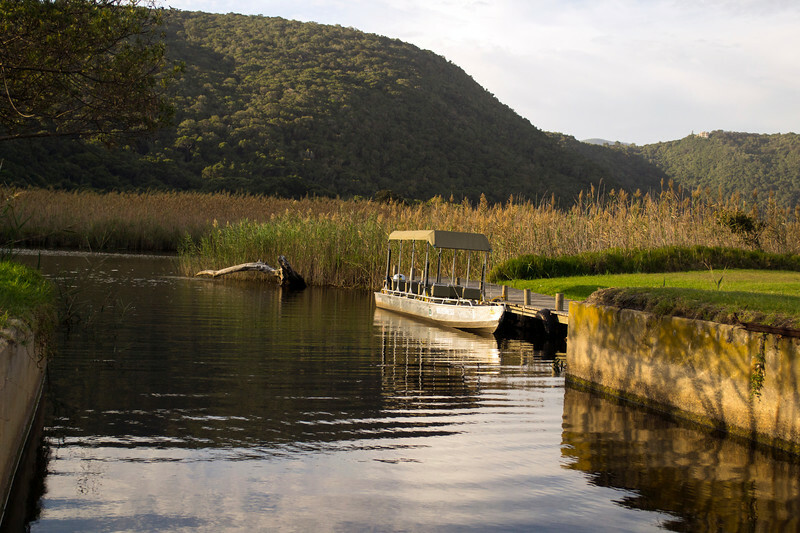 The Garden Route is divided into three pieces, incorporating the Wilderness, Knysna Lakes and Tsitsikamma sections into a larger protected area. Strolling the Kringe in ‘n Bos hiking trail is straight out of a fairy tale. But where do you need to go to find your sense of adventure? It of course all depends on what you are after and how much time you have available. A weekend in the Garden Route will never be enough to see and do everything, so set aside a week to make the best of your trip. 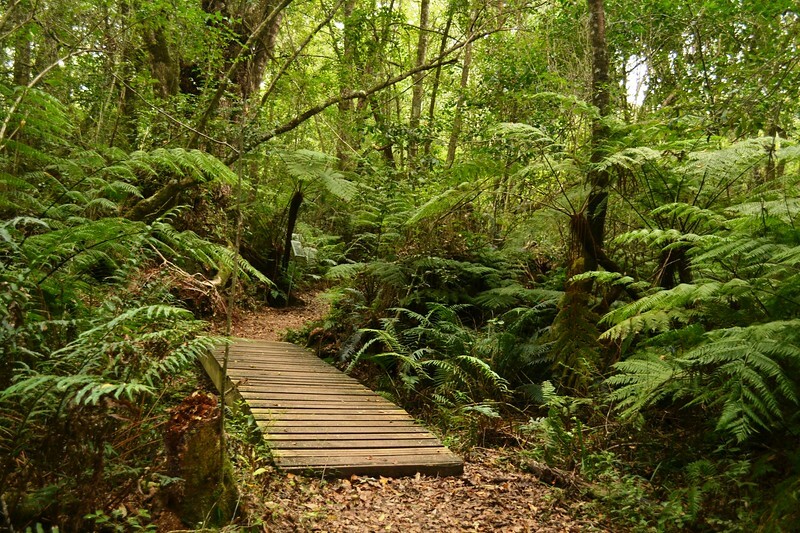 The indigenous forests of the Garden Route is a magical wonderland with giant trees and ferns. Hiking is one of the most popular and most accessible activities in the Garden Route, so if this is your idea of fun, don’t forget to pack your hiking shoes. The entire area is covered in hiking trails, ranging from longer, overnight trails to shorter nature walks. 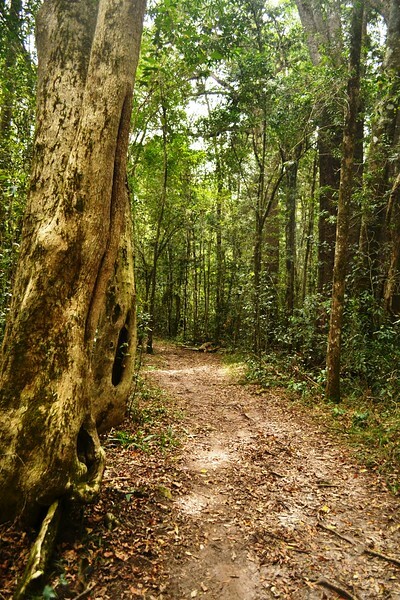 The most well known, Otter Hiking Trail, is a five day trail that’s not for the faint hearted. Not only does this 45km hike include river crossings, but also strenuous stretches in this mountainous scenery. This popular trail is booked well in advance, but there are plenty of others to choose from. Has this article inspired you to plan a South African adventure? Start your search for hotels in the Garden Route with us. There is also no shortage of shorter hikes. One that I loved is the Kringe in ‘n Bos (Circles in the forest) hike near the town of Knysna in the Goudveld Forest. This trail lures you deep into the heart of the forest where colorful birds chatter away, old man’s beard hang from ancient trees and green carpets of moss cover shady areas. Wetter periods see a complete transformation of these forests as fungi of all shapes and sizes appear. 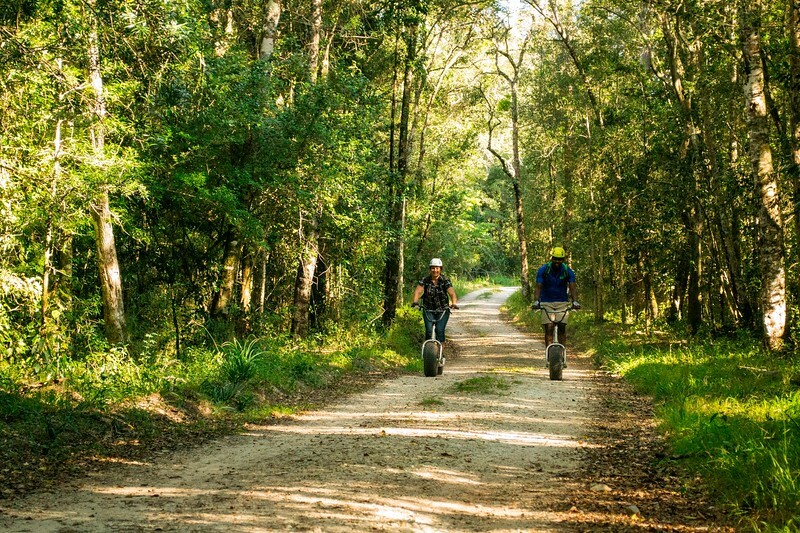 In the Goudveld Forest you can also embark on Scootours—ideal for those seeking a quick adventure. You will climb on a Monster Mountain Scooter and glide through the indigenous forests. While these scooters with oversized wheels don’t have an engine, the downhill tracks allow you to pick up speed quickly. It is up to you how fast you want to go. If it is speed you are after, you will get it. Luckily breaks allow you to slow down before sharp turns. You might even spot bushbuck along the way. Glide through the indigenous in the Goudveld forests on a Monster Mountain Scooter. This section of forest is also home to the Dalleen Matthee Memorial and Big Tree, one of five large tree attractions in the park. These giant trees showcase the history of the Garden Route. In times gone by, the timber industry saw woodcutters work tirelessly to make a meagre living by chopping down trees for timber merchants. This of course also led to the felling of many giants. The monsters that remain were those that were already too large to cut down. Set some time aside to see them. Many are older than 800 years and tower well above the other trees in the forest. It’s definitely an interesting way to see the forest! The Tsitsikamma section of the Garden Route is home to Africa’s oldest Marine Protected Area and offers plenty of water activities such as stand up paddle boarding, tubing, kayaking, snorkelling and even scuba diving. But one of the most popular activities in the area is definitely bungee jumping. 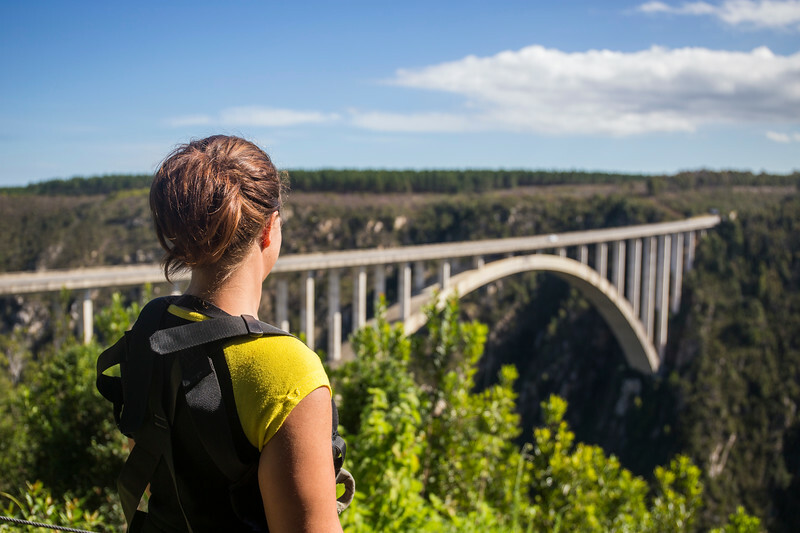 The Bloukrans Bridge is the place to go if you are adventurous enough and looking for a true adrenalin rush. 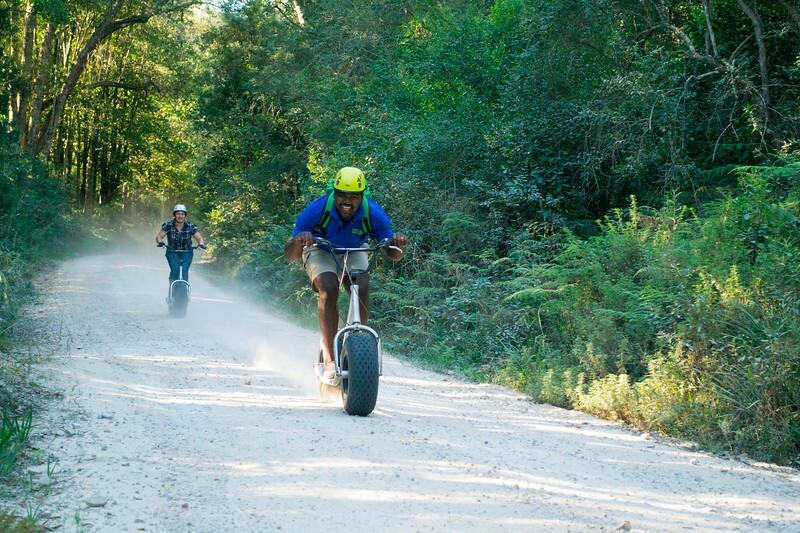 Face Adrenalin offers adventurers the opportunity to enjoy the scenery from a different angle. 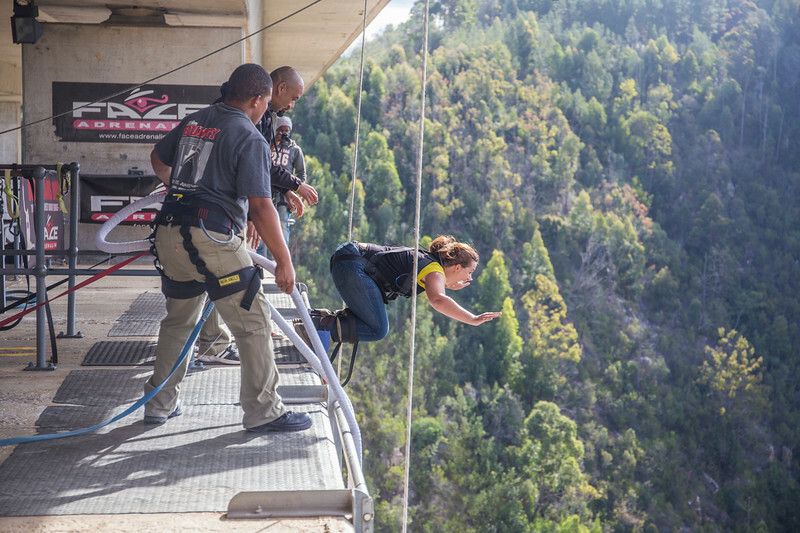 At 216m, this is the highest commercial jump in the world from a bridge and perfect for those keen on getting their hearts racing. Are you up for it? Book here. Enjoy the golden hours with a sunset boat cruise. Bird lovers will have plenty to enjoy. For those seeking a more laid back adventure, there are relaxing river adventures in Wilderness. Wilderness River Safaris offer eco-friendly boat rides for up to eight people. The cruises on the Touw River are popular and great for bird watching too. Book a cruise at sunset to end your day on a perfect note. 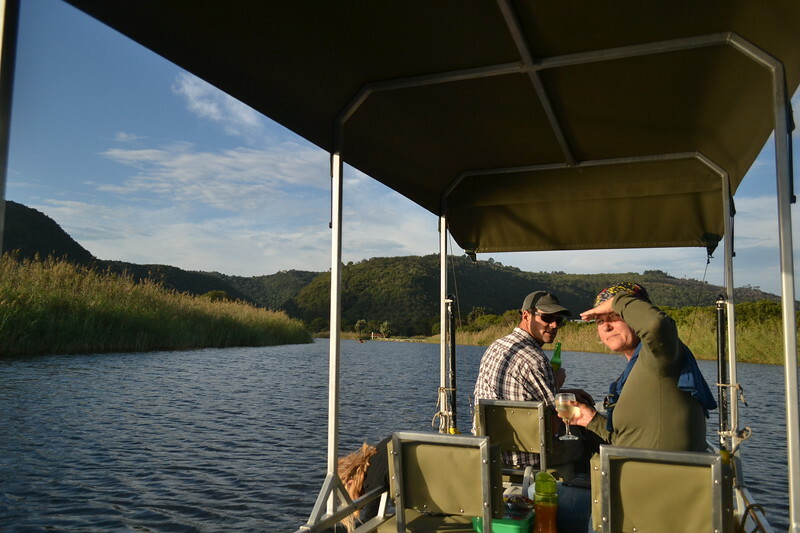 There is no better place to relax and enjoy sundowners than in a boat on a peaceful river. Looking for more adventure? Check out Alan and Donna’s experience on a South African safari. Have you ever explored South Africa’s Garden Route? Come join the conversation at the My Itchy Travel Feet page on Facebook. Or send us an email with your thoughts. René de Klerk is a passionate conservationist, nature lover and journalist from South Africa. Her work takes her to some of the most beautiful places in South Africa, all in the name of conservation. As an outdoor and photography lover, she will never pass an opportunity to explore new destinations. She will also never miss an opportunity to share her knowledge with the rest of the world.